Dine out in Healdsburg to support a great cause on the night of February 23rd. 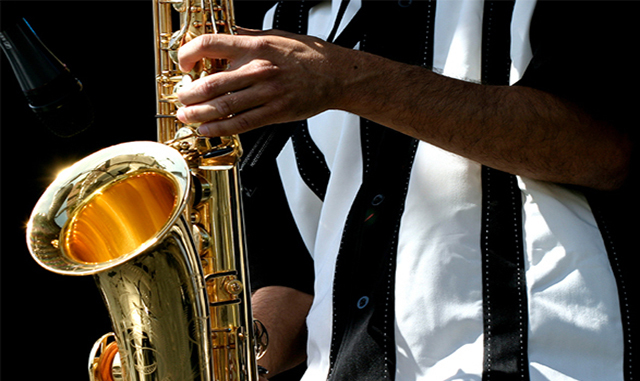 Jazz on the Menu is an annual dining event that combines delicious food with the beautiful sounds of a jazz festival. Explore nine outstanding restaurants across Healdsburg while listening to live jazz ensembles featuring local musicians. Most of these fabulous dining destinations are just minutes from our wine country hotel in Healdsburg. Get your tickets to Jazz on the Menu and book a lovely room for an unforgettable evening of food and music! Sonoma County is famous for award-winning wine and fresh California cuisine using farm-fresh ingredients. Jazz on the Menu lets you explore this culinary bounty in one single evening. Choose from an excellent lineup of eateries including Baci Cafe and Wine Bar, Cafe Lucia, Campo Fina, Catelli's Restaurant, Chalkboard, Healdsburg SHED, KINsmoke, Spoonbar, and Valette. While you roam from restaurant to restaurant, you can listen to live music by local bands. Over 25 musicians will be playing in small ensembles across the nine restaurants. Check out the online schedule for Jazz on the Menu to see the full musical lineup for the night. Stick around for the after-party at Costeaux French Bakery and Café that runs until 10 pm. Get your tickets to Jazz on the Menu before they sell out. Proceeds benefit the Healdsburg Jazz Musical Education Programs in the school system. Participating restaurants will donate 25% of their profits to the Healdsburg Jazz Music Education Fund.